At Bournemouth Park Academy we strive to provide an environment, where children are able to express themselves creatively and imaginatively, as they develop their ability to listen, speak and write for a wide range of purposes. We aim to foster enthusiastic and critical readers, who are able to understand how language is used for effect and use these skills to enhance and develop their writing. At Bournemouth Park progression in reading starts with the systematic teaching of synthetic phonics using the Read write Inc programme. Children learn the English alphabetic code: first they learn one way to read the 40+ sounds and blend these sounds into words, then learn to read the same sounds with alternative graphemes. They experience success from the very beginning. Lively phonic books are closely matched to their increasing knowledge of phonics and ‘tricky’ words and, as children re-read the stories, their fluency increases. Along with a thought-provoking introduction, prompts for thinking out loud and discussion, children are helped to read with a storyteller’s voice. (See EYFS statutory framework and EYFS policy for further clarification). Children take part in daily guided reading sessions in small groups using Read Write Inc banded books or Bug Club books appropriate for their reading level. The children will read with their teacher in a small group once week and complete other activities and comprehension based on what they have read. Children take part in daily Love to Read sessions where they are introduced to high level classic text relevant to their Cornerstones topic. During these sessions children will read together either as a class or independently and complete activities based on what they have read. They should also complete a comprehension lesson once a week using the Nelson Comprehension scheme. Reading at home is an important part of reading development and children are encouraged to respond to the books they are reading at home using their home school diary which parents can also use to record any reading that they do with their child. We have Bournemouth Park book bears which go home every evening in all KS1 and twice weekly in KS2. The bears have a bag filled with two books (picture books in KS1 and longer chapter books in KS2) that the children can share with their families. The book bears also have their own email address which parents can send photos to. We also have secret books hidden around school which children are encouraged to search for, take home to enjoy and then complete a book review, before hiding the book again for someone else to find. The library is open at break time and lunchtime for children to choose and change books or just to have a quiet space to share a book with a friend. 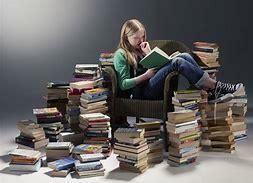 We have a group of student librarians who monitor and organise the library. At Bournemouth Park children have a literacy input every afternoon including sight words, sounds and sentence building. This is then embedded through free flow and through story scribing with an adult/independently (See EYFS statutory framework and EYFS policy for further clarification). At Bournemouth Park children are given opportunities to practise writing during daily literacy and topic sessions. English lessons are all based around topics to allow maximum opportunity for cross curricular writing. The week begins with an introduction to particular genre and allows children the chance to explore the features of that genre. Children examine a ‘good version’ or modelled text, which has been composed by the Year group team and includes all of the features required to meet the expected standard for that year group. Vocabulary and sentence lessons allow the children to experiment with high level vocabulary in context, build complex sentences and vary their sentence openers. 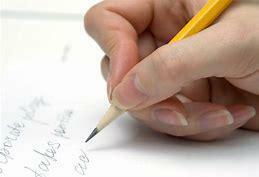 This progresses to shared writing sessions where the class teacher is able to scaffold the children’s writing and allow the class to write a text together and explore their ideas further. This culminates with a ‘Big Write’ or independent writing session, where children are able to build upon all their ideas from throughout the week. It is these independent pieces which form the basis for assessment in all key stages. Chn are taught handwriting through Start-Bee’s Handwriting Scheme for Schools, which combines pre-recorded e-lessons with practical exercises, stationery and specialist equipment to make the teaching and learning of handwriting effortless, enjoyable and exceed expectations. Designed in conjunction with infant and primary school teachers, Start-Bee’s Handwriting Scheme for Schools has been designed to effectively bring a Start-Bee handwriting specialist into the classroom by delivering prepared lessons via the web. 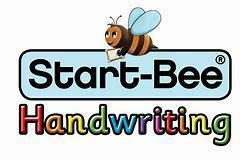 Start-Bee’s lesson plans dispenses with the need for existing handwriting expertise. Instead, the delivery of the handwriting programmes is placed in the expert hands of a Start-Bee peer-to-peer tutor, leaving teachers free to guide and direct the pupils rather than teach the class. Chn have to opportunity to embed their prior start bee learning in weekly handwriting lessons led by the class teacher. Particular areas of weakness are identified by the class teacher and practised and refined as necessary. 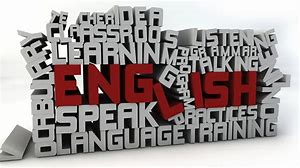 In EYFS grammar forms part of the ELG for writing so is taught as part of their writing sessions (See EYFS statutory framework and EYFS policy for further clarification). At Bournemouth Park we follow the Skills Builders scheme of work from Rising Stars. Children have a 30 minute Grammar lesson 3 times a week, alongside two 30minute spelling lessons twice a week. Children cover the appropriate age related spelling patterns and grammar outlined in the National Curriculum. Non- negotiables such as capital letters and basic punctuation should be reinforced at every opportunity. Staff should use correct grammar and Standard English at all times. Teachers provide a wide range of contexts for speaking and listening throughout the day and learning in this area takes place in a variety of situations and settings. Teachers model speaking clearly; this includes using imaginative and challenging language and the use of Standard English. Social and Emotional Aspects of Learning are embedded in the curriculum, and provides opportunities for children to learn to respect the views of others and the importance of speaking and listening with regard to others. 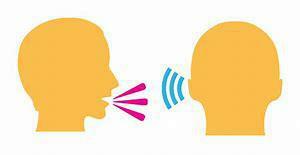 Through assessment for learning strategies such as the use of talk partners, through discussion and debate, and by embedding the speaking and listening objectives across the curriculum, pupils are explicitly taught a range of speaking and listening strategies and skills throughout the school.